I’ve found that next great job! 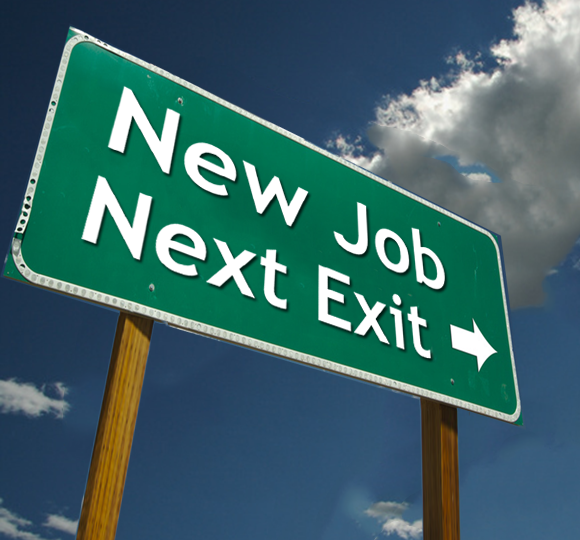 A month ago I blogged about my social search for that next great job for me. The outpouring of support from the community was fantastic I want to thank everyone that reached out to wish me luck and offer me advice. Along this journey I had some great conversations. I appreciate those who were in a similar position sharing their experience and helping reach out to recruiters and hiring managers they spoke with as well as friends who went above and beyond to advocate for me internally. I had some great options before me that could take me to a customer role, working for a partner, or stay in the vendor space. A few of you might have seen this tweet, and while I wasn’t about share the exact details at that time, I had in fact received an offer letter that I was more than excited to sign and return. 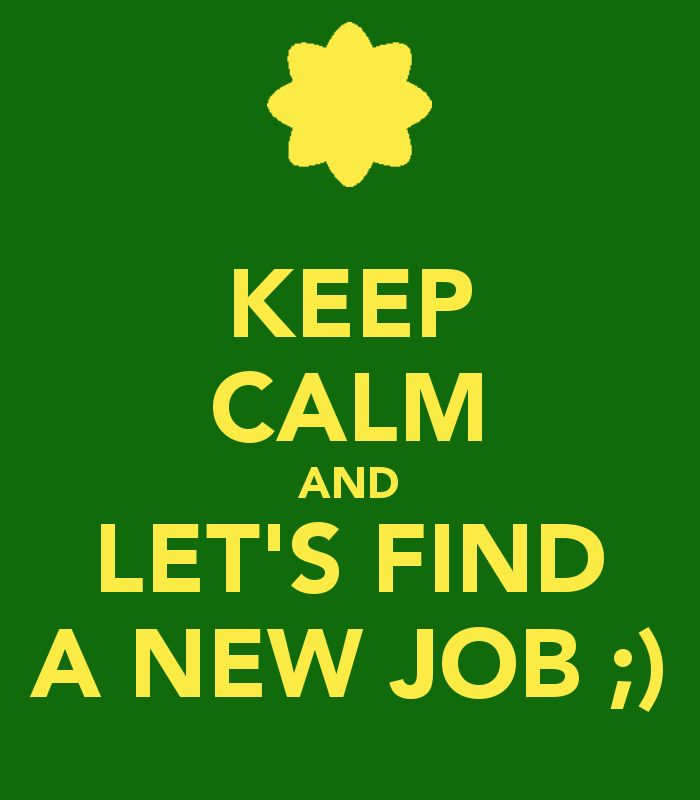 So without any further delay, on Monday I will start my new job as a Solutions Architect for SimpliVity! As I understand it, SimpliVity combines the responsibilities of SEs and SAs into one role and I couldn’t be more excited! I have been following the hyper converged industry for the past year and I have been really impressed with SimpliVity’s approach to the topic. While this is going to be a bit different for me since I haven’t formally done this kind of work before, I believe my time in Technical Support and Marketing will allow me to bring a unique perspective to this role. Look for future blog posts as I learn more about the technology and the industry. Looking for that next great job! 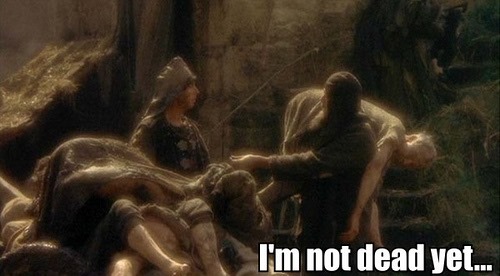 Some of you may already know this, but I am no longer at EMC. It’s been a great 5 years and I have had a blast being a part of the EMC Elect program. Yes, I had been keeping this somewhat secret, not going public while reaching out to a few people and applying to positions listed online. This however has taken a bit of a toll on my social presence and personal brand. As I look around, I see a lot of great inspiration from others similar experiences within the community and I think it might be best to communicate out in hopes that it might make this process go quicker. So I’m taking a page right from Keith Townsend’s playbook and blogging about it in hopes to attract additional opportunities. One of my biggest struggles so far has been figuring out exactly what I want for a new role. There are so many types of positions that I haven’t done before, but I’ve seen so many others succeed in those areas. Presales has been a curiosity for me as well as design and implementation. My earlier years were spent on the post sales side of the house and I’ve always thought that I could make customer’s lives easier if I applied that experience to creating new solutions. My experience in social media marketing has given me a great appreciation for the culture and made me think I would be a good fit for Technical Marketing. In reading over Keith’s review of his whole process, I immediately noticed a lot of similarities between his situation and mine. Just like Keith, we were both trying to go back to a more technical role after taking 2 years in a less-technical position. This of course can cause a disconnect as my CV may not communicate this effectively based on my recent job experience. I know I can do the work and pick things up quickly, but having not been a Systems Engineer or Solutions Architect in a previous role might be getting me filtered out automatically when approaching this through a job board. So I’ve turned to the community for assistance in finding the next step in my career and exploring new opportunities. It’s hard to say exactly what I want because I believe there are so many options that I might be good for. Since it won’t hurt, I’m going to continue to seek out new options through traditional methods, but I welcome anyone who wants to talk about my future and see if I might be a good fit for what you are looking for. You can reach me here, on Twitter, or LinkedIn. VSPEX Blue – Evo:Rail and more! 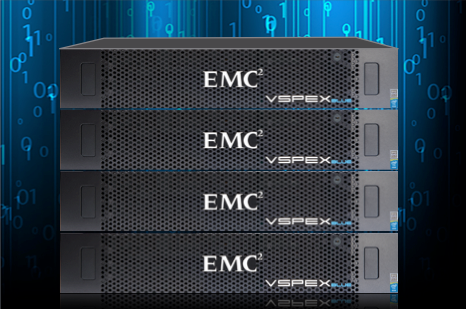 Today EMC announced it’s latest product, the VSPEX Blue! This 2U hyper converged offering is based of of VMware’s EVO:Rail platform that was announced last year. While most everyone reading this is familiar with the EVO:Rail platform, the VSPEX Blue offering expands on this to give even more to the administrator. For those of you unfamiliar, EVO:Rail offers a simplified VMware cluster setup that lets you go from power on to provisioning virtual machines in about 15 minutes with limited interaction from the administrator. For more information about the software and basic interface, read this blog post from Duncan Epping. 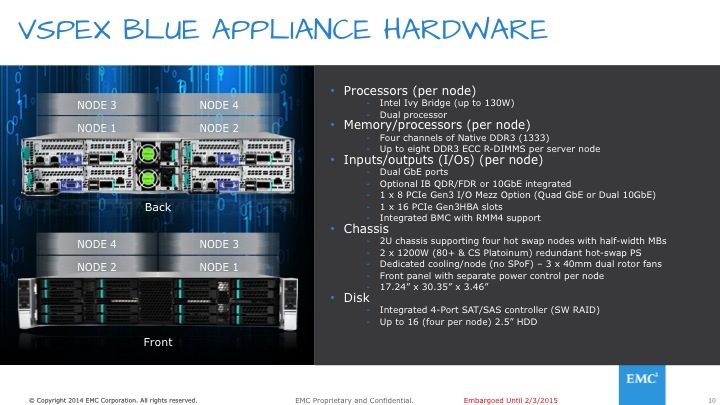 On the outside, each VSPEX Blue appliance is a standard Phoenix 2U chassis that contains 4 nodes. Each node contains 2 gigabit ethernet ports, and 4 storage drives to make it vSan compliant. The diagram below explains in detail what to expect from a hardware perspective. One differentiating factor in the hardware is that this is the first EVO:Rail solution to offer both a standard and performance model. The only difference is that the standard has 128GB of ram and the performance has 192GB. The below slide explains what you get in each node. So what sets this apart from the other vendors? That is an interesting question. While there is a slight hardware differentiation in RAM options, the biggest differences come in the form of software. On top of the standard VMware offering comes the VSPEX Blue Manager. This is built into the standard EVO interface, so what you get is extra options in a familiar presentation. A key section is the hardware manager which allows you to view the hardware status of each component in the appliance in an interface that reminds me of Unisphere. You can visualize exactly which part has failed and this makes it easy for the administrator to replace the parts themselves. Tied with this also comes the EMC Remote support options including ESRS found on EMC’s traditional storage platforms. You can click right from the VSPEX Blue Manager interface and get knowledge base access and live chat available to you. EMC will be handling the support for all issues relating to the VSPEX Blue appliance and will interface with VMware as needed. The administrator will not need to call 1 company for hardware and another for software. 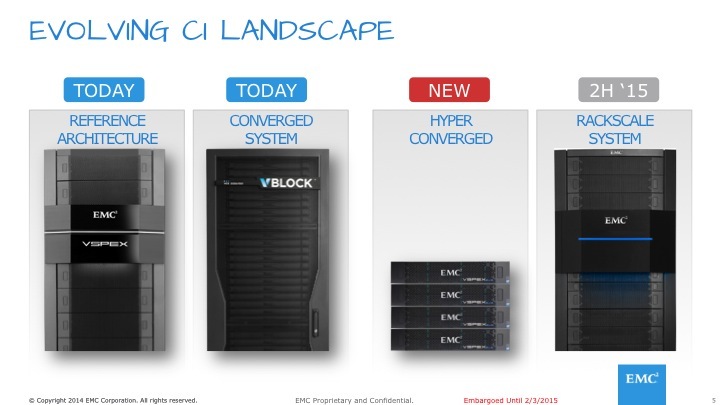 This is just to start, as the product evolves more offerings will be available from EMC and from partners. So after looking at all the launch partners, it’s clear that while EMC is last to market, they haven’t just been wasting their time. This is the first appliance i’ve seen that offered something more than just the standard EVO:Rail offering and laid the groundwork for a bigger ecosystem. Given that this is the first instance that there are 2 different hardware offerings, i can see some people saying that EMCs relationship with VMware allowed them something special. My understanding (and i could be wrong about the specifics on this) is that this option is available to all partners, so we may see some new offerings from the existing launch partners as well. This appliance is also a partner only sale, so EMC Sales reps won’t be selling them directly (unless you want to buy a lot of them) and they will be sourced directly from the OEM manufacturers, which means the partner will be in charge of delivery instead of EMC. Finally, this offering now really shows the VSPEX offerings at all sizes. 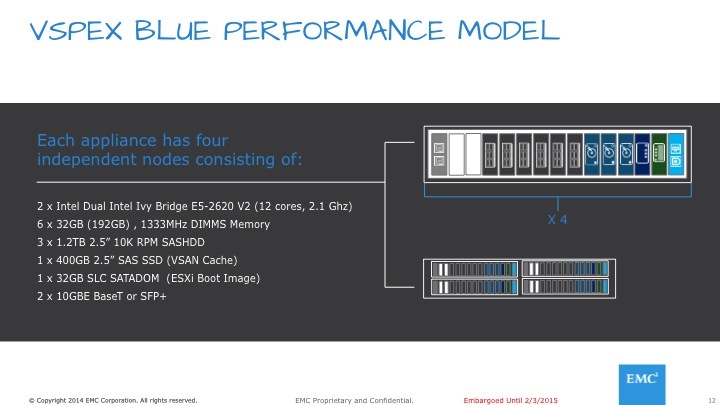 With the internalization of VCE, EMC can now offer converged options for small, medium, and large business. And no i’m not going to talk about that 4th option in the photo above. 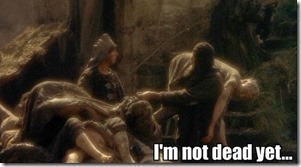 This blog is not dead yet! This post goes out exactly 1 year since my last post, and on this anniversary I want to make the statement that this blog is not dead yet, it’s just been in hibernation. Writing has always been a struggle for me, dating back to my child hood. I took great pride in what I had accomplished on this blog, not just in giving back to the community, but in being able to put together a regular cadence based on an activity I find challenging at times. You’ve been gone for a year, what has happened? So yes, over the course of a year a lot can happen and I’ll try and cover it at a high level. Shortly after my last post, we underwent some changes on the team I worked on.. 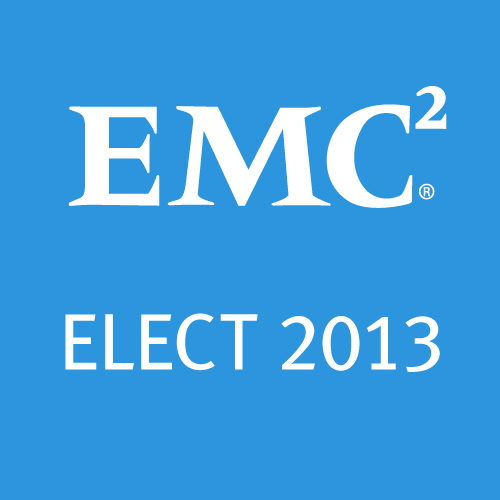 I inherited the responsibilities of the EMC Elect program from the departure of my close friend Matt Brender. With the continued help and investment from Mark Browne, we kept the momentum going and finished judging and announced the elect class of 2014. The program has continued to expand in size year over year. With the addition of Dennis Smith to the team, we plan to continue this growth next year and beyond! Nominations are currently open for EMC Elect 2015! I found that these added responsibilities combined with my increased travel schedule and my existing initiatives did not leave me a lot of time for blogging, so unfortunately it fell by the wayside. I know that some may say that is just an excuse, but while some people may be able to blog quickly, I end up staring at a computer screen for a long time struggling to get the words down. The time just wasn’t there when I could be using it for other things (like moving to a new home). Why are you back and what can we expect? That is another good question. I’ve been seeing all sorts of inspiring things going on around me that get me wanting to blog again. Recently, I’ve seen friends participating in a 30 blog posts in 30 days initiative. I’m no wear near ready for that, but I do want to be able to do that someday. I also am turning my life around personally. I’m going to be setting up a new home office / workspace and expanding / revamping my home lab. I think those will inspire some great blog posts. My current role within EMC affords me a wealth of information. Since I’ve taken over the responsibilities of EMCs blogging program (at a high level), I should lead by example and write about what we’ve been disseminating to our blogging corps. I appreciate the 100 or so people that visit this site each day, and I hope to increase that number with new content. I hope you are all looking forward to this as much as I am. Peeling back the layers of XtremIO: What is an X-Brick? 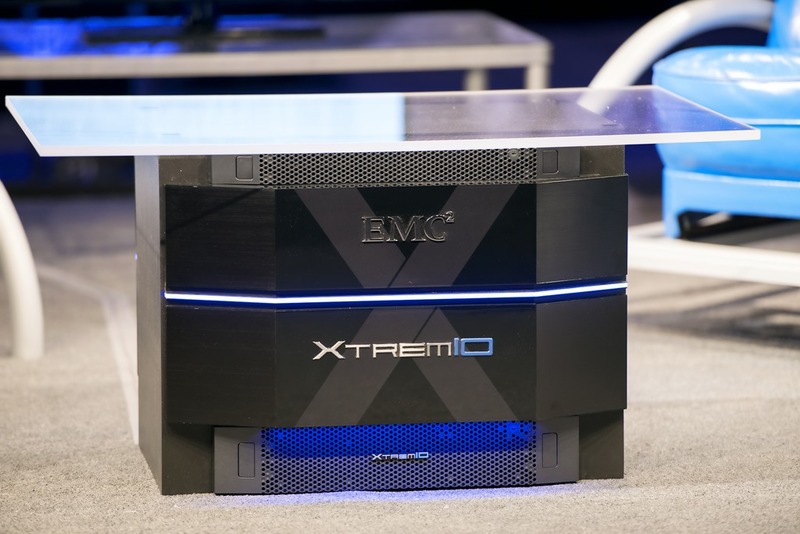 Many moons ago, on a stage not too far from where I work, EMC announced the future of flash and the creation of the Xtrem brand / business unit. Today, EMC announces the latest product in the brand: XtremIO. This all flash storage monster changes the way we think about storage and for the better. Gone is the need for tiering and different types of RAID configurations. Rebuilds are measured in minutes, not hours. I present to you, the X-Brick! So the picture above shows the major breakdown of an X-Brick. Behind the covers you have 2 controllers, 2 battery backup units, and a 25 drive DAE that accepts 2.5” drives (does that look familiar?). In the back you can see there is 2 of everything. There are 2 power supplies, 2 SAS controllers, 2 iSCSI and Fiber Channel ports, and 2 InfiniBand ports for clustering. Just like with all other EMC products, there is no single point of failure in this design (and I do like how everything gets a UPS instead of just the DAE). Inside the hardware of each X-Brick are dual SPs (these are external 1U blades, unlike what you see in a VNX SP), each with dual 8 core CPUs and 256GB of RAM. 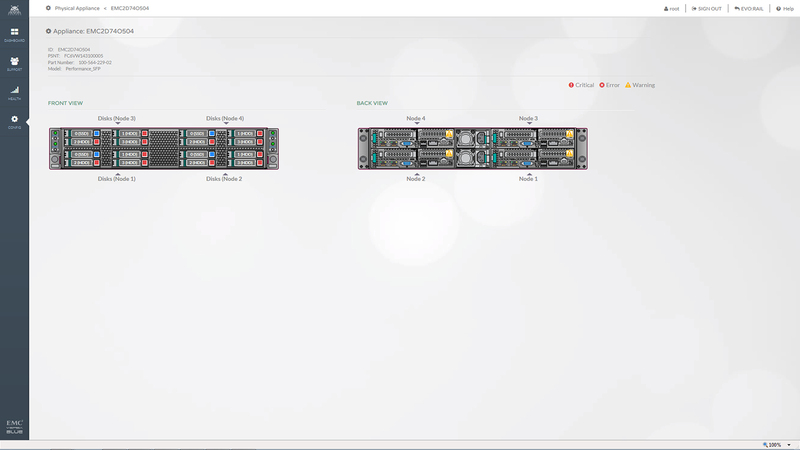 They each have a SAS 2.0 connection directly to 25 eMLC SSD drives as well as InfiniBand connectivity to other nodes in the cluster (more on this soon). On the front end, you have 10gig iSCSI as well as 8gig FiberChannel. This impressive platform sets the stage for even more impressive software. At launch, the XtremIO platform can support up to 4 X-Bricks (in theory, I don’t see why more can’t be added, and maybe they will be in the future). Each X-Brick is of a fixed size of around 10TB of storage with around 7.5TB of useable space (though I expect that total size will be increased in the near future). In a 50/50 read/write performance test, each X-Brick topped out at about 150,000 IOPS (that number increased to around 250,000 if you are doing 100% reads). And when you max out your cluster with 4 X-Bricks, both your storage and IOPS scale out giving you 40TB of capacity and around 600,000 real world IOPS (topping out at around 1,000,000 if your doing just reads!!!!!!). The key to achieving all of this is in the software layer. When data comes in, it is broken down in to 4K chunks. Each chunk is then hashed using an SHA-1 algorithm and assigned a unique metadata fingerprint. The chunks are then spread out across all the storage processors in the cluster to distribute the data around for faster throughput and the logical block address, fingerprint, and SSD offset are recorded in the metadata. When new data comes in, the fingerprints are checked against the existing database to see if there is a match. If there is, the metadata is recorded, but the write is not necessary, thus extending the life of the SSDs as well as performing an inline deduplication. Now 256GB is not a lot of RAM to store metadata, and when full it will destage this to the SSDs. This is where the cluster really starts to shine. 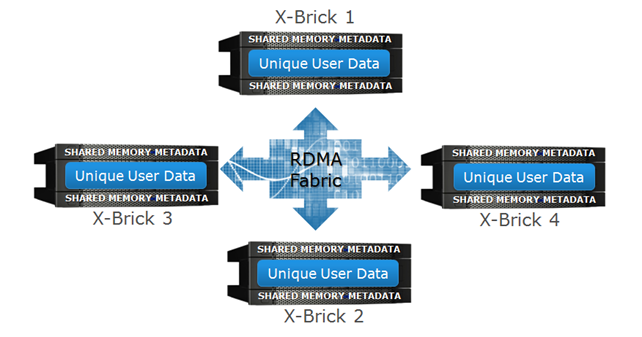 By utilizing the RDMA fabric between the X-Bricks. The metadata calculation can be distributed across the entire cluster for an even load balancing. This allows the decoupling of the user data and the meta data so that they don’t have to be on the same X-Brick and also allows you to recall any of the data in a similar fashion. The in memory metadata of a controller is also mirrored to another controller in the cluster just in case there is a controller failure. By being able to utilize multiple X-Bricks at the same time, you can scale out all the processing in an active/active environment and increase the total throughput of the cluster as a whole. So what does it look like? Well first off, it’s not Unisphere, but it’s own interface (the XMS management system) that is launched from the web server running on a controller as well as a robust CLI. This video demonstration gives you a great overview. All in all, for a first round product, I think this is a great offering. I’d like to see it scaled up higher with more storage and more X-Bricks in a cluster as I don’t think they have hit the limits of the architecture. Be sure to watch the Launch event. Here is a sneak peek at the cool X-Brick Coffee table (which will one day end up in my living room if I can help it)! 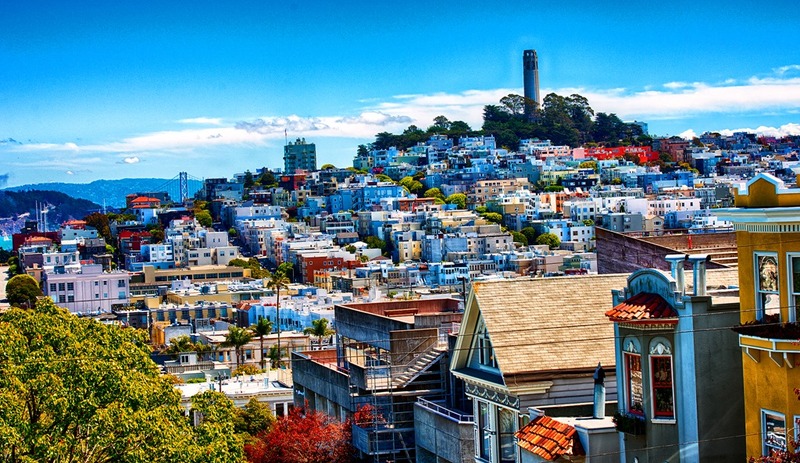 San Francisco is an amazing city (and also an expensive city). I finally was approved for travel to this city after trying the past two years, so I wanted to make it count. 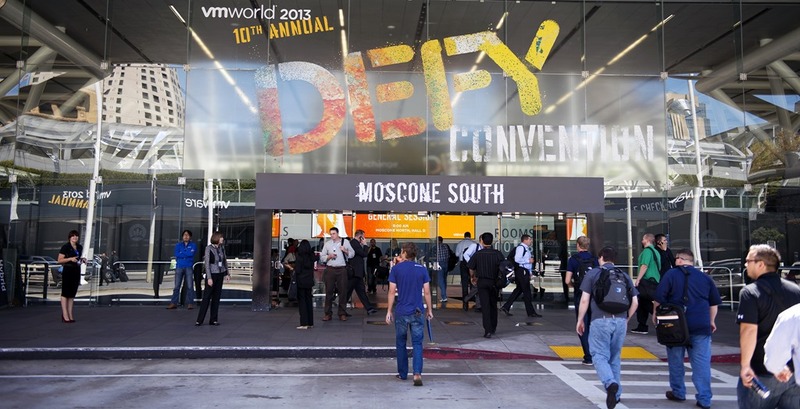 I had heard so many great things about VMworld from years past and I was looking forward to all it had to offer before, during, and after the show. With only a few days in the city and a lot to accomplish, my adventure began on saturday. Saturday night kicked off the first VMworld activity (if you don’t count booth assembly or hanging in the alumni lounge). Simon Seagrave hosted a spectacular vBeers event to kick things off and it was packed the the point it was spilling out on to the sidewalk. I met a lot of really cool people (including several people I follow on twitter) and I even got to try out google glass (I need to find one that fits people with glasses). The next day started off with some sight seeing and a bit of a walking tour of SF. Google maps really need to start telling me about elevation changes because some of those streets were straight up (or down depending on the direction you were going)! Sunday afternoon was home to the 4th (or 5th depending on who you ask) vOdgeball tournament and this year did not disapoint. My understanding was that this was the biggest it has been and major props to the teams competing, the refs for making quick calls, and the fans for surviving stray balls. While team EMC was victorious in winning, the real winners was the wounded warriors program who received around $14,000 in donations. That evening we witnessed the opening of the show floor. 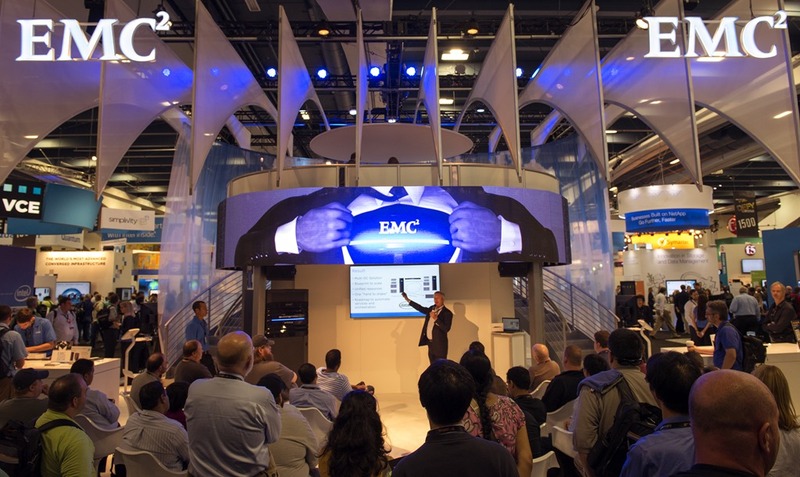 I have to say, the EMC booth was amazing and was one of 2 double decker booths on the show floor. It seemed like every time I was at the booth it was packed full of people and this is always a great sign. After 3 hours of booths, beer, and food, it was time for the biggest social media meet up of the week. I’m referring to the VMunderground party. This year it was held at an art gallery (that was surprisingly vacant of art) and had plenty of room to talk, eat, and mingle. All this has happened and the show doesn’t even start really until Monday morning. 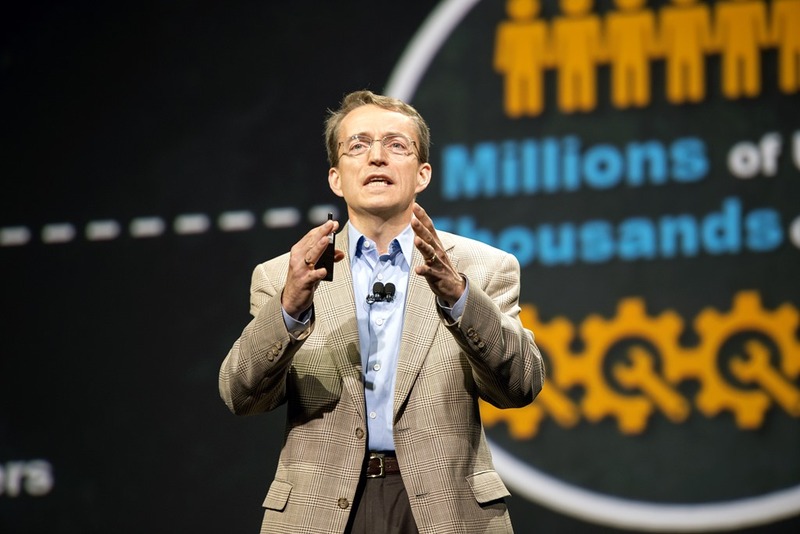 The opening keynote delivered by former EMCer Pat Gelsinger did not disappoint. Major announcements about the release of vSphere 5.5 which included two new features: VSAN and NSX. 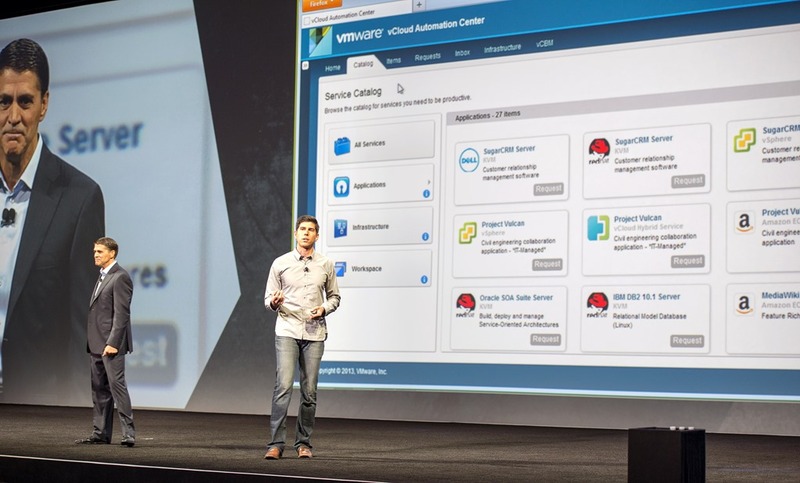 VSAN is VMwares take on software defined storage and NSX is the result of the Nicira acquisition last year and completes their software defined networking portfolio. There are plenty of great blogs out there discussing these technologies and I can’t wait to see what is done with this technology down the road. 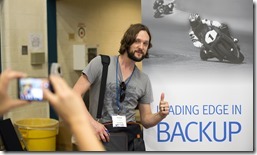 At the EMC booth, Chad Sakac didn’t disappoint either. 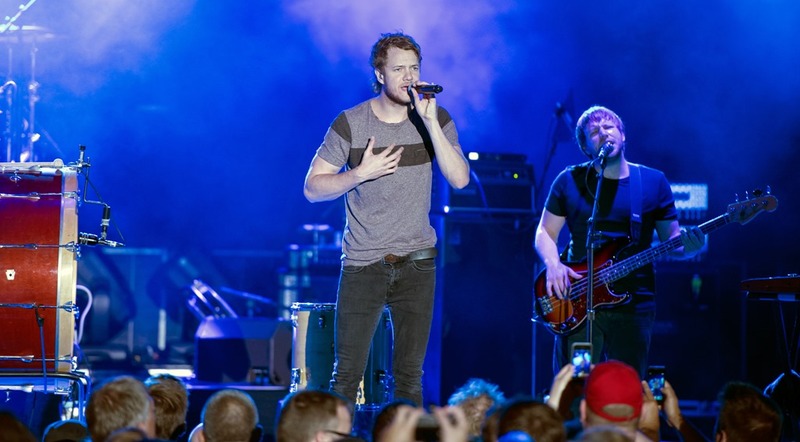 He has a way with words and seems to be able to fire up the crowd no matter where he is. 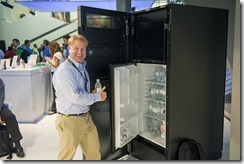 Of course it helps when you have goodies to wow people like a VMAX that has a fridge built into it. Tuesday provided even more information about the new technologies announced the day before. It was also a great day to do hands on labs. VMware provided a huge hands on lab area, but for people wanting to try out EMC specific labs, we also brought our own booth setup to handle several labs at a time across the entire EMC portfolio. 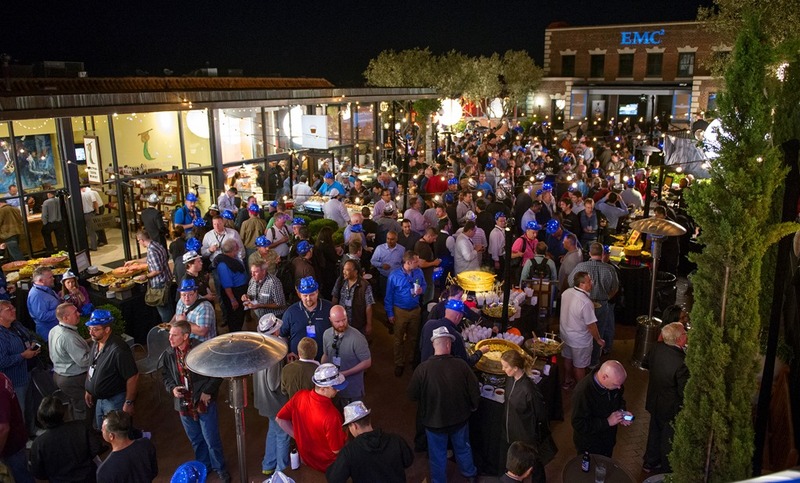 Tuesday night was the vendor parties and EMC, Cisco, and Intel banded together to bring you Cloudfest!. We took over Ghirardelli square to bring the ultimate combination of music, food, and chocolate. As evidence by the photo to the right, this place was packed! The bands were great and delivered some amazing covers of popular songs by Queen, The Police, and others. I was told this was one of the best parties of the night and people were still talking about it up through the end of VMworld. On Wednesday, the EMC booth had a t-shirt meet up. 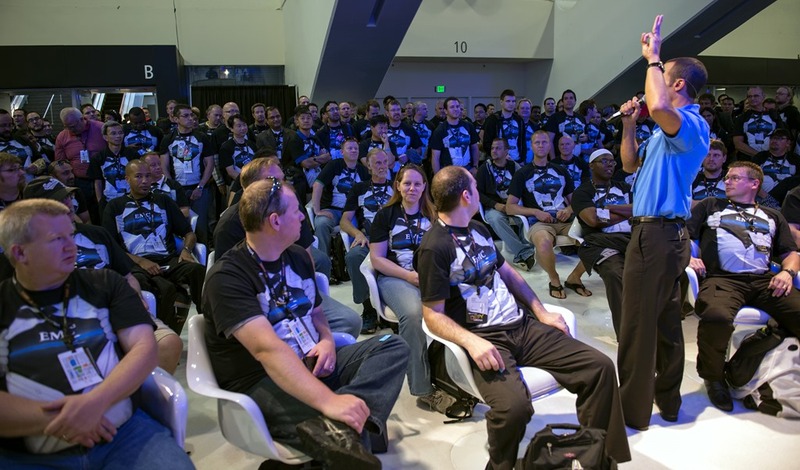 Everywhere you looked was a sea of EMC datacenter hero shirts (I think there were more than at EMC World). This was the final day the show floor was open and even after 3 days of presentations, booth attendance was still very high (including some special guests like Pat dropping by). That night was the VMworld Party. They took over AT&T park and turned it into a c ounty fair! The midway games were great however I still maintain that they were rigged since the same people kept winning (and I won nothing). Both Train and Imagine Dragons did a great job. This has to be one of the best customer appreciation parties I have been to and I can’t wait to see what happens in the coming years as other events step up! All in all VMworld was a great event. I met more people than I can remember (including about half of the people I follow on twitter). I learned a lot about upcoming technology and the solutions they play. To see the full collection of my photos (all 154 of them) I have posted them to google+. With VMworld getting underway in just a few hours, i thought i’d talk about EMC’s presence at the show and where you can find me. EMC will have 2 booths this year. We have the main booth which is 2 floors and full of awesome! The main floor area will have a social media wall, a presentation theater, a prize wheel, and plenty of stations to learn about all that we have to offer. The upstairs area will be an EMC Elect space for all Elect members in attendance. Have you nominated someone (or yourself) yet? I urge everyone to stop by the booths and check them out, and you may even find yourself in a picture up on one of our posts! Which brings me to where i’ll be. This year i am acting as official EMC photographer for the event. I will be EVERYWHERE gathering photos of all things EMC. So be sure to attend one of our sessions or anything else listed on the vPass page and you may wind up in our photo album. 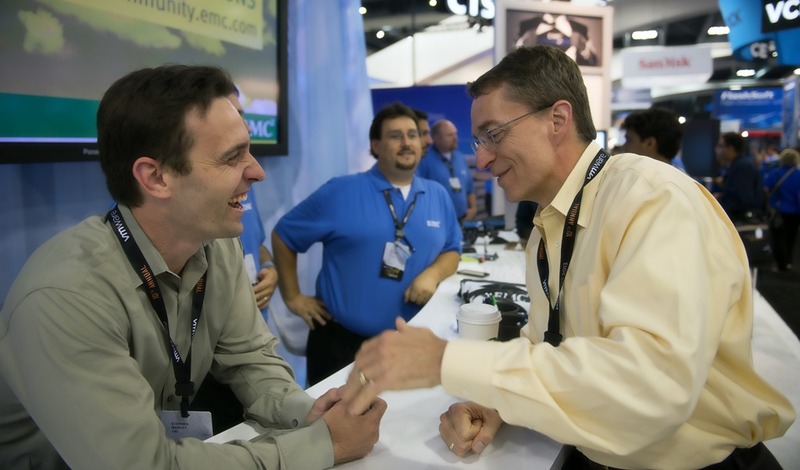 When i’m not shooting photos, you’ll find me hanging out around the EMC booth or in the VMworld hang space. 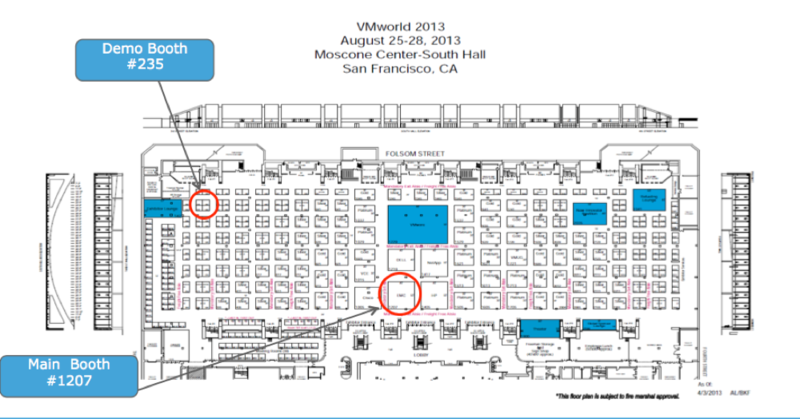 At night, you can find me at one of VMworld’s many social gatherings. Speaking of social gatherings, are you going to Cloudfest? For those of you who don’t know, Cloudfest is a customer appreciation party cosponsored by EMC, Cisco, and Intel. It’s going to be the best party tuesday night. For those of you who have already signed up, be sure to pick up your invitation at the EMC Booth. If you didn’t get a chance to sign up, there will be more tickets given out, so talk to the booth staff and see if you can get one, or become friends with an EMC Elect member who might be able to get you in. I hope to see everyone there. 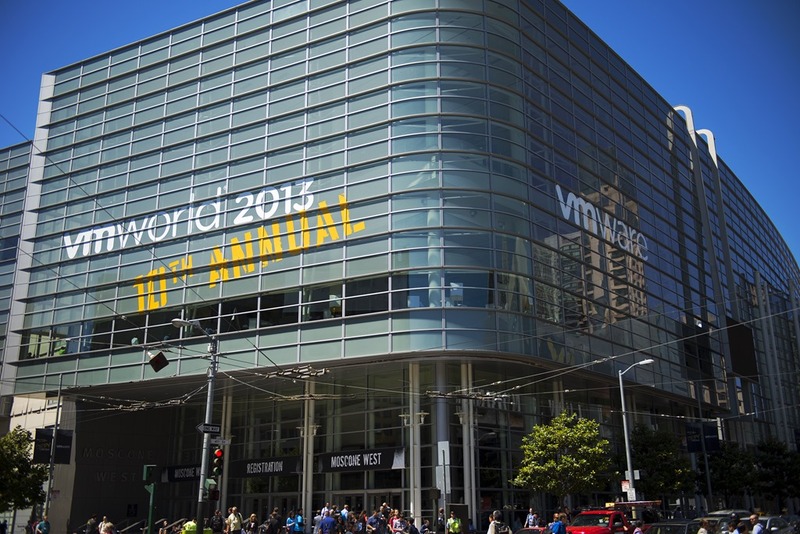 Thats it for now, but be sure to check out the EMC VMworld vPass page to cover all things going on at this year’s show. With VMworld a week away, I wanted to start talking about the goings on at the event and how I will be contributing to the community. This year, we have seven EMC Elect Social Champions (also known as the “Software Defined 7”) who will be attending VMworld and offering live coverage of the event. I am honored to be one of those members this year and will be your goto contact for EMC party related information (more onthat later) as well as taking photos of the entire show. 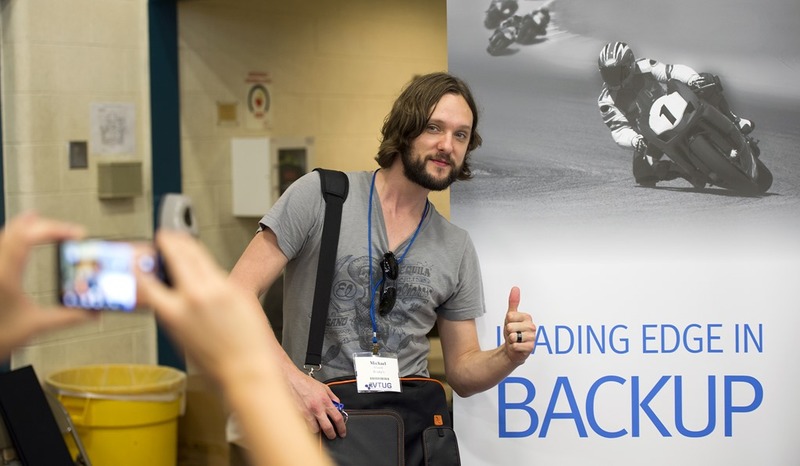 This year, EMC has several break out sessions, as well as a large double decker booth on the show floor, hands on labs, and a customer appreciation event. A full list of all the events can be found here. 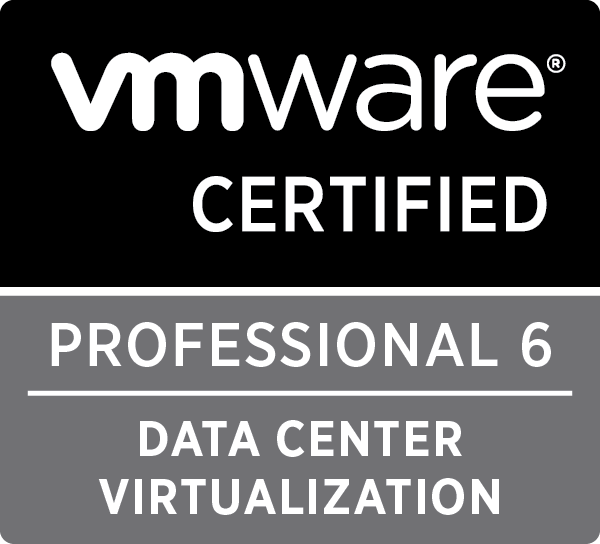 A member of the software defined seven has volunteered to be the social champion for a break out session or event and will be your contact for any questions as well as blogging & tweeting the content from the session. They will become the goto person for asking questions during the event wether you are attending or playing the home game. 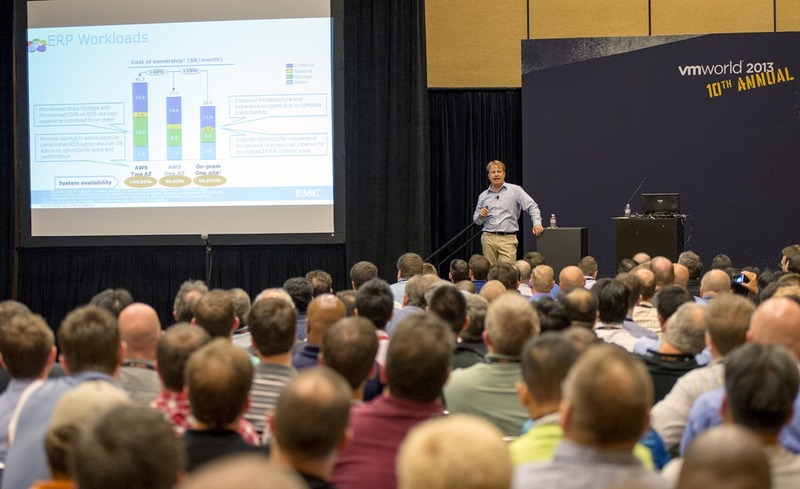 For those of you who cannot attend, but want to stay up to date on all things EMC at VMworld, i encourage you to visit the Virtual Pass page on ECN where we have everything EMC is doing all in one space. There is even a discussion thread to talk about the show (thanks to a suggestion from Luigi). 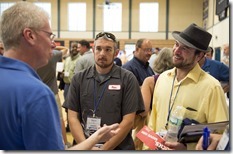 For the past few years I have attended several New England VTUG/VMUG events as an independent blogger / technologist. This year, I attended the 10th annual Summer Slam as a sponsor through my employer and it has given me a little bit different a perspective on things. My goal this event was to promote awareness of the EMC Community Network and the EMC Elect programs and have a conversation about it. I do believe that I achieved my goal, but I also came away with a few big takeaways for next time. For those of you who haven’t attended the New England VTUG, it is held in the high school of Brunswick, Maine. The main vendor hall is in the gymnasium, a room with no wired internet and shared power cords. One must be prepared because this remote location also does not lend itself very well to cellular signals (probably good for keeping the kids focused on schoolwork). The result of this is that both vendors and attendees would heavily rely on the wifi network, and after it hit full saturation, performance problems would occur. This also meant that there was no fall back for hotspots and mifi units. 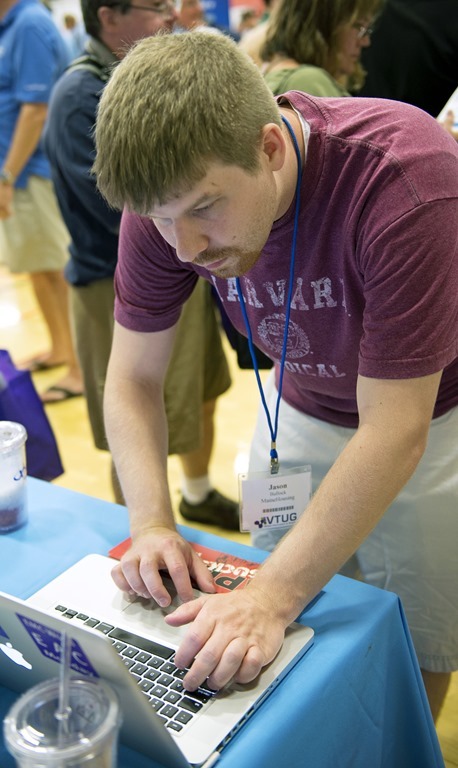 It became quite apparent that I had miscalculated when I was the only one trying to do live demos that required internet connectivity. I cannot stress this enough. It is very hot, and in the summer the AC is not on in the school (with the exception of the theater), so a fan will be your best friend. Vendors can use this to their advantage too. If you want to get everyone to come to your booth, give your patrons a way to cool off. The two most popular booths were giving away smoothies for attendees (competitors too) to drink and it was much appreciated. All these fans however caused another issue … with the power. When you run several fans (and a blender) off the same circuit, you may overload it. 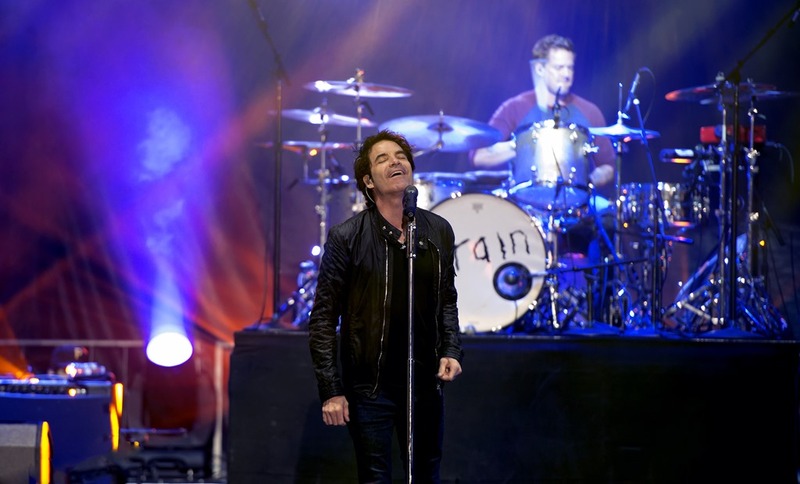 And we did … twice! The NEVTUG staff was very attentive to get extra power cables run and reset the circuit breakers so that downtime was minimal. To be honest, the majority of the attendees I spoke with had never heard of ECN or the EMC Elect. However when I spoke to them, many were very receptive and enthusiastic about the idea. One of the moments that really stood out to me was when a customer indicated that he was the goto person in his organization for everything, and he often did not know the answer. After I explained to him about the support forums on ECN, he lit up and responded “This is where I can get the answers!” Its genuine engagement like this that makes these user group meetings worth while. 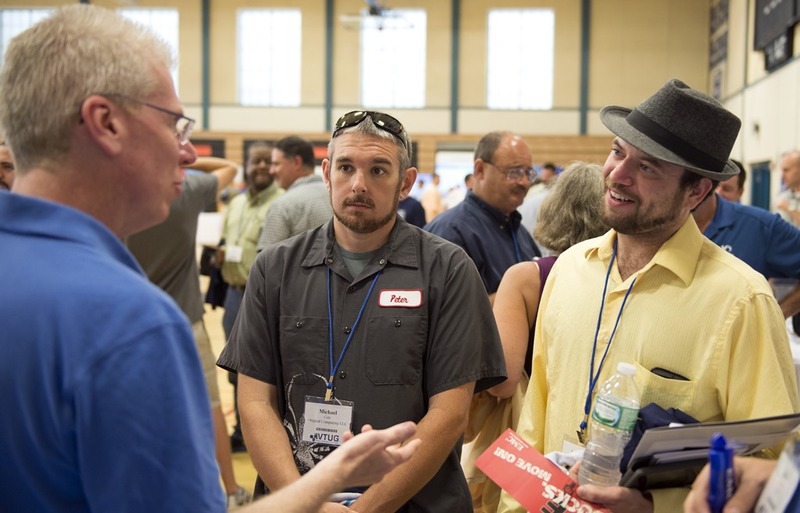 I had a blast talking to customers, partners, and even a few competitors at the NEVTUG. With news coming of a new VTUG chapter forming in Silicon Valley (and more in the works across the united states) I urge all my readers to attend one and have a great conversation. If you are a customer, partner, or EMC employee and you are subscribed to the ETA notifications list, you probably got a heads up about potential incompatibility between the VNX, RecoverPoint, and VAAI under certain conditions. For those of you who are not subscribed, fellow blogger Cormac Hogan wrote a quick little post about the issue. I’m proud to announce that there is a fix available for this and it can be found in VNX Block OE 05.32.000.5.206 (released this week). Simply apply this fix (you can do it yourself using USM). For those of you with a FILE front end, make sure you update to 7.1.71.1 as well. 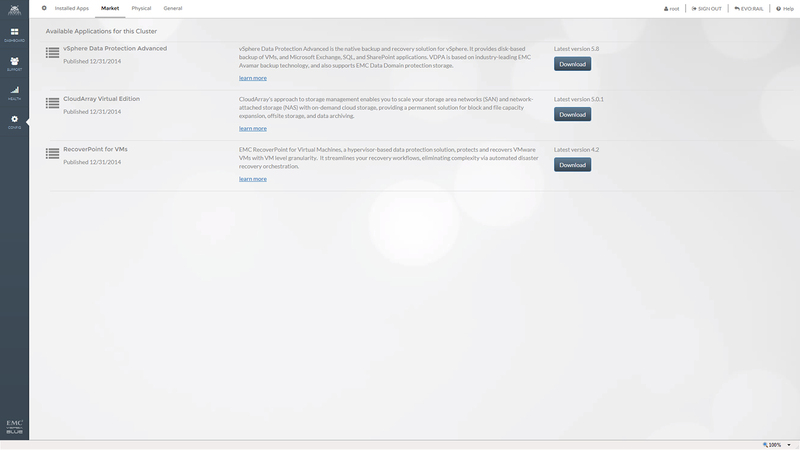 If you are an EMC Customer (with support zone credentials), you can read the full description of solution emc327099 (now stored on the new knowledgebase solution powered by Salesforce). If the direct link is not working, simply login to http://support.emc.com and search for “emc327099” and your first result should be the solution. The opinions expressed here are my personal opinions. Content published here may not have been read or approved in advance by my employer and does not necessarily reflect the views and opinions of my employer. This is my blog, it is not a corporate blog. 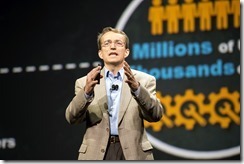 Join me at VMworld with Tech Field Day Extra! VMware – VMworld 2017 – Wrap-up and Link-o-rama | penguinpunk.net on Join me at VMworld with Tech Field Day Extra! 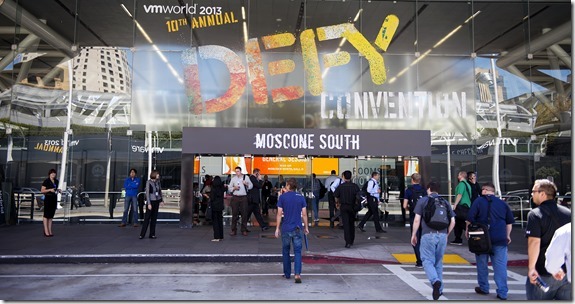 Join me at VMworld with Tech Field Day Extra! - Tech Field Day on Join me at VMworld with Tech Field Day Extra! Recep YÜKSEL on What’s new with vRealize? 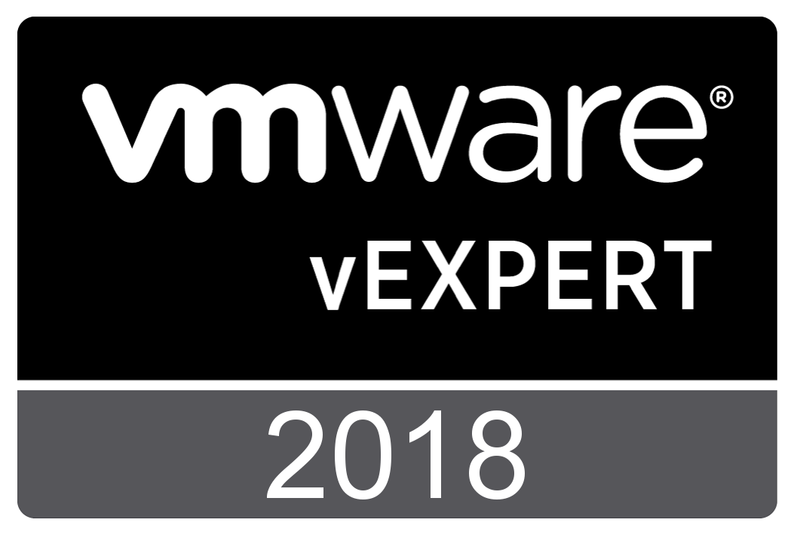 Анонс новинок в линейке VMware vRealize | vMind.ru on What’s new with vRealize? Thulin' Around | Powered by Mantra & WordPress.